"Composed primarily of persons who have fled Black Eagle Barony, merchants who have come to trade with the Baron, and some non-humans who have left the wilderness, Luln is a base town for adventurers exploring the Haunted Keep, also called Koriszegy Keep and the surrounding land. Somewhat lawless and open, the town can provide most of the basic needs to any group of adventurers. 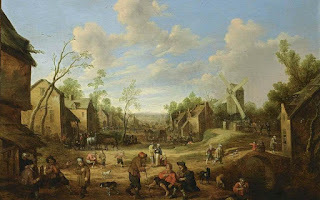 The town is poorly defended, relying on the goodwill and capabilities of both the Baron and the Duke for its defense. Approximately 500 people live in the town." 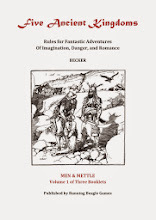 The text in Mentzer's expert set is mostly the same, though any suggestion of Luln being a "base town" has been removed (that honor falls to the idyllic "frontier town" of Threshold). I'll admit that I've never used Luln in any way, shape, or form: my first campaign started after acquiring the Moldvay Basic set (which has no mention of Luln), and by the time I acquired the Expert set we were not interested in "starting over" in Luln (we did visit Specularum, though only en route to The Isle of Dread). The next time my group started a campaign, it was with AD&D in a home-brew world of our own design. And years later when I actually ran a BECMI campaigns for a short while (in Mystara), I used Threshold as the starting location...in fact, I started two or three campaigns that originated out of Patriarch Sherlane's barony. 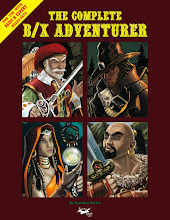 My own B/X campaigns over the last decade have only ever been home-brew worlds. Might leave the windmill, might not. Reading over its description now, as part of my research into Karameikos, I can't help but feel rather charmed by the town's description. Somewhat lawless, outside the jurisdiction of both Duke and Baron, comprised of a small community of mixed humans and "non-humans," this is the perfect type of "fantasy western" village for starting off a band of adventurers. Maybe they're refugees or escaped slaves, maybe they're outcasts from their own communities (possibly by their own choice). Being on the edge of the wilderness, located in the foothills, but close to forest and swamp, the village seems an ideal place for starting a campaign. I would be strongly tempted to start any Karameikos-based group in Luln. 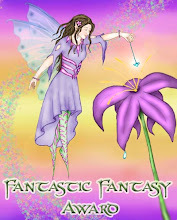 "Sascia was born 28 years ago in Luln, the unhappy town near the Black Eagle Barony. Like the younger Yolanda of Luln, she gradually developed a fierce hatred of the nearby barony -- a hatred of its occasional raids into surrounding lands (including Luln), a hatred of seeing the infrequent bands of hollow-eyed escapees just escaped from that territory. But unlike Yolanda, Sascia was very strong and convinced that she could make a difference right here in Luln. She learned the ways of the sword and of military tactics. She persuaded the leaders of Luln to set up sentries in the forest who could warn of an impending raid. She fought the raiders when they came, and inspired others to do the same. Eventually, when the last town master stepped down from his post, she took that position." Allston cut his teeth writing for the Champions RPG long before working for TSR and this reads like nothing less than your average superhero origin story. Forget (for the moment) that Luln was a village of a few hundred souls comprised of discontents, wanderers, and refugees...a pretty loose community at best. Imagine for a moment that the cartoony Baron Black Eagle suddenly had this 12th level (!!) fighter-chick suddenly on his doorstep, organizing a defense against his "raids"...what do you think would happen? I mean, what's the story of Robin Hood suddenly becoming a nuisance to the good Sheriff of Nottingham? Except that instead of living like a bandit in the woods, she's sitting in a town of people trying to eke out a living in an area largely unprotected (due to it being outside the boundaries of any particular dominion). Look, I realize GAZ1 is written for a particular brand of "heroic fantasy," but this is even more fanciful than usual. The only reason I see Baron Ludwig allowing the existence of Luln at all is that it isn't an inconvenience to him. 16 miles down the road from Fort Doom (just over the border of the barony) there is an unsanctioned, un-fiefed, vassal-less community? To the baron, it's useful to have this place there as someone to trade with, that he doesn't need to administer, and that can house merchants that he doesn't want to deal with (or that don't want to deal with him...at least not up close and personal). Plus, it's a place to occasionally raid for slaves and whatnot. But Luln isn't under the Duke's protection...there's nothing preventing the Baron from just marching in and annexing the place. And IF the baron got word back from his spies and raiders that some warrior was organizing an armed resistance and building up the defenses of a town located a day's ride from his castle, you think that wouldn't give him cause for action? Especially if his agents in Specularum heard any whiff of the Duke considering Sascia for a knighthood (or even worse...a baronial title! ), you don't think he'd act immediately? Here's exactly what would happen: 200 elite Black Eagle guardsmen, all mounted with chain and shield, would ride into town led by Baron Ludwig himself, and backed up by the baron's 15th level pet wizard. "Mistress" Sascia, who appears to have never been outside of Luln on an adventure (and whose AC is calculated wrong in GAZ1...just by the way), wouldn't stand a chance even in single combat against Ludwig. But with Bargle hitting Sascia with power word stun (she only has 47 hit points), let alone disintegrate? All zeroes. No, the only reason I'd include Sascia in a campaign is to have her executed in some spectacular fashion. 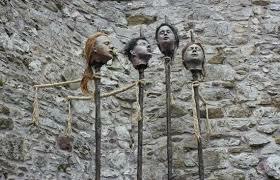 Crucified on the Western Road perhaps, or drawn-and-quartered with her various parts mounted outside the walls of Luln. Definitely posted as a warning to the adventurers that the Black Eagle is not to be trifled with. Peasant hero indeed...sheesh! But OTHER than the whole "Mistress Sascia" subplot, I'm digging the whole vibe of Luln. Perhaps some player character will decide to take up the same cause as Sascia (though with similar consequences), but I prefer the place to be a bit less of a town and more of a place to meet mercenaries and buy adventuring gear (from the wandering merchants camped there). I think Luln is plenty interesting as is, with a lot of B/X potential...especially if you knock down the nearby fort (Radlebb Keep). 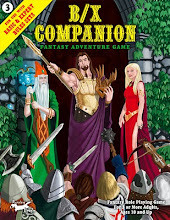 Better yet, it would be easy to convert Luln with some AD&D goodness. 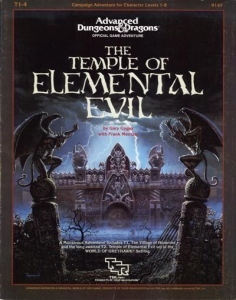 I've been thinking a lot about the Village of Hommlet recently (by which I mean "for the last several months"), and can see resigning Luln as the nearby village of Nulb (described in the "super module" T1-4: Temple of Elemental Evil). I would not re-skin Luln as the titular Hommlet...I see Luln as too mean and miserable a place. But I'd be VERY tempted to place Hommlet near Luln/Nulb just southeast of Radlebb Keep. Instead of being the guard house for "Hell's Jailers," Radlebb would be re-skinned as the half-constructed fort of Rufus and Byrne, now being built (on Duke Stefan's command) to keep a "watchful eye" on the Black Eagle Barony. The ruins of the Temple would replace Koriszegy Keep (i.e. "the Haunted Keep") and be an afterthought to the duchy outside of Luln/Nulb...after all, it was destroyed decades before when Stefan/Thyatis was first conquering the region. Bandit raids and slaver kidnappings would be blamed on Baron Ludwig, not any kind of resurgent cult activity...right? Right?! Thinking about this possibility, the idea of starting an adventure campaign in Nulb (as opposed to Hommlet) has its appeal. Nulb might not be quite so evil, Hommlet might not be quite so good...and with all eyes focused westward on the Black Eagle, it's easy to see how the higher powers of the region could have missed the renovated moathouse (or monastery) and the evil rising again. Perhaps instead of repurposing Duke's Road Keep as the new "Keep on the Borderlands" I could set Castellan Keep in the closer Riverfort Keep (in the foothills just north of Riverfork Woods, about 50 miles north and west from Luln). This puts the Caves of Chaos much closer to the player characters' starting location...but I don't know. That might be too many "chaotic outposts" in too tight an area. Nah. Best to just go with one or the other. I've run T1 before, but while it's a good starter adventure, the module lacked a bit of "oomph" as a campaign starter. For all its accolades, T1-4 is really a product of its time, and that time was 1985 when TSR really started to push the idea of players running company produced stories. And I don't really want to do a whole campaign based solely on this (or any) single concept. I'd rather run B2 straight and give Luln/Nulb as the "hometown" the PCs return to after adventuring in the Caves. Hommlet, down the road, is little more than a soldier's camp being led by self-righteous prigs ("the Duke's Men") threatening to catch the PCs families between the hammer and anvil of Stefan and Ludwig. The "Village of Hommlet" with its petty religious squabbles doesn't exist; the "moathouse" doesn't exist (or has been cleaned out and its foundation stones used to build the new keep). 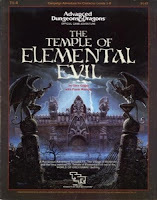 The ancient Temple of Evil could exist, and might still exert an influence on the area (explaining both the madness of Baron Ludwig and the misery of Luln/Nulb)...but the shape it takes may be very different from the one presented in Mentzer's super-module. Considering this as an adventure for B/X (and not BECMI) I'd certainly hope such was the case!